UVI has a number of new and used tourist submarines for sale including semi-submersibles. Planning to start a new tourist submarine operation? 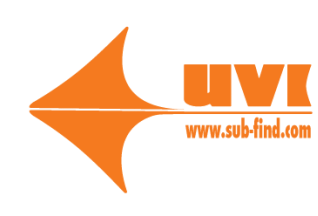 UVI can assist at all phases of operations, including Site Survey Reports and Pilot Training. We know the parameters for a great site and we would be pleased discuss your plans at any time. K-50 Tourist Submarine for sale - 50 passenger. To be delivered with New DNV-GL class in like-new condition. Asking US $3.987. Price may be negotiable. MP26 tourist submarine. Available new or used. Fully dive-ready and in class. All used versions are now sold. New build available - allow minimum 12 months.